Speaking to Sky Sports, Fabregas admitted that he was not fond of Terry during his time with the Gunners, but his opinion changed following his Premier League return in the Blues' shirt, he said:"He is the type of player that I had many battles with I disliked him very much at some point playing for Arsenal, we had a lot of confrontations, but one thing I always had for him was respect." Terry endured one of his toughest spells in his playing career last season, but Fabregas still had fond words to say about the veteran, who is now in the ranks of Aston Villa, he added: "I think it was maybe the most difficult season for him [last season], for a lot of reasons. He showed to be before a great man and then a great player. He showed he will always be a great captain for this team and I have to tell him a big, big, big thanks." Fabregas was largely used as backup to Nemanja Matic and N'Golo Kante last term, but Antonio Conte is confident of keeping hold of the Spaniard with the promise of offering him an extended role in the lineup with the Champions League coming along. 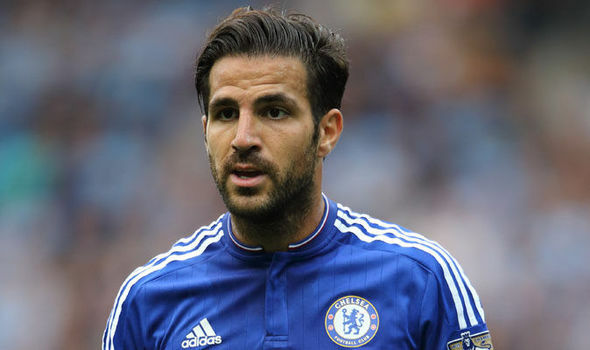 Fabregas bagged five goals and assisted a further 12 for Chelsea last season as they secured their sixth English crown.